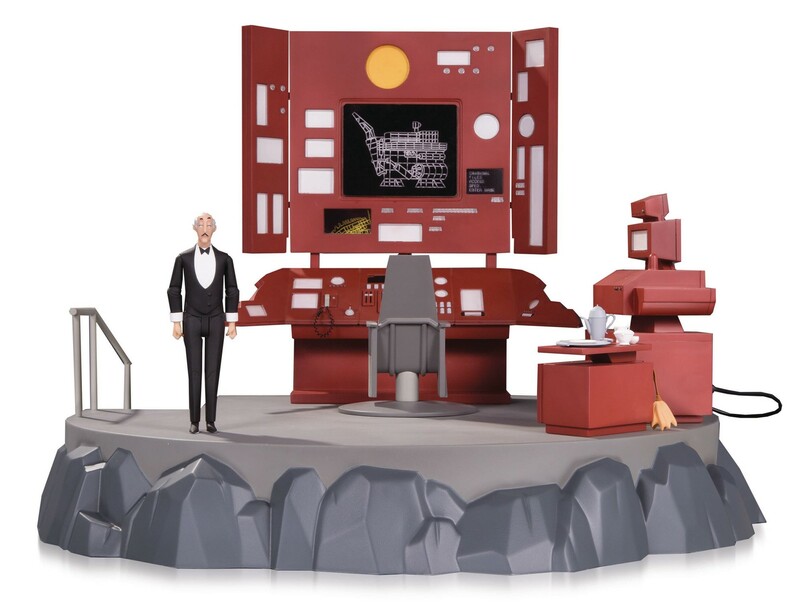 For the first time ever, Batman's legendary headquarters is available from DC Collectibles, with the Batcave Playset! This Batcomputer Vignette features battery-powered light-up computer screens, Batman's seat at his work console, and Alfred's tea set. EXCLUSIVE ALFRED ACTION FIGURE INCLUDED! ALFRED measures 5.78 high. Set measures approximately 15.40" high x 19.40" wide x 16.40" deep.